One of the primary reasons that James Mangold’s Logan works so well as a send-off to Hugh Jackman’s 17 years playing Wolverine is that it does the opposite of nearly every superhero movie convention expected. The end result earned critical and commercial acclaim and an Oscar nomination for adapted screenplay (a Wolverine movie got an Oscar nomination for screenplay; thought I’d say that again). More than a superhero film, Logan has more in common with the Western where an old gunslinger goes out on a final quest (more Unforgiven than X-Men). In fact, my favorite cut of the film is Logan Noir: the black & white version of the film included as bonus feature on the Blu Ray. Denuded of a lot of the effect of the blood, the film feels more in tune with an old warrior’s final journey. But Mangold does give the fans, at the end of the film, one final berserker charge from Wolverine as he races to save his daughter and the last mutant children from the Reavers. Even that scene though, if you put him on a horse and swapped his claws for six-shooters, would be straight out of a Western. 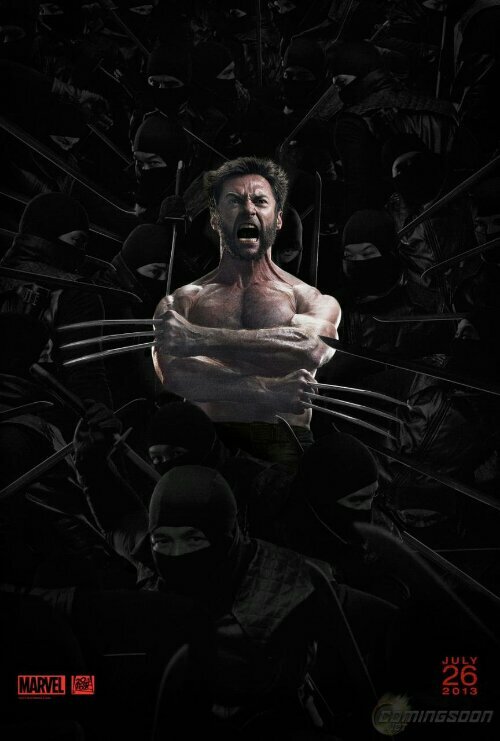 Kudos to Jackman for 17 years as the world’s favorite mutant, and to James Mangold for figuring out a way to give us a Wolverine that was off his leash, yet more true to the character’s roots than in any other film he’s been in. There’s not much to go on other than this: X-Men Days of Future Past will, thankfully, not mark the last time we see Jackman as Logan. FOX is negotiating right now, but the plan is for both Jackman and Mangold to reunite for another Wolverine film after next summer’s X-Men extravaganza. If you’ve seen the epicness of the epicality of the epic trailer for X-Men DOFP, then you’ll know that there is NO telling what the state of the mutant cinematic universe will be. I, for one, really liked The Wolverine. I respected it’s decision to try to do something completely different with the character, yet completely true to his nature and I think Jackman gave his best performance as the character in the film. It IS flawed and it did give in to the temptation to go by the old spandex tropes, but they were so close! I’m excited about this. I want to see them nail it this time (Jackman’s 8th Wolverine film; Connery/Bond are really the only comparison). Even if they got going next year, I wouldn’t expect to see another solo outing for Logan before late 2016.